The first edition of the Marbella Film Festival was held at the Goya Theater in Puerto Banús, it began with a red carpet for the guests, people from the world of film industry and authorities of the city of Marbella. The Marbella Film Festival has started with an Opening Gala presented by the actresses Miriam Marcal and Sarabel Simóny, the presentation of the Industry Prize was given to the French producer Philippe Martínez, at the event held at the Goya Theater in Puerto Banús, which has been cheered by the public, numerous personalities from the world of cinema and audiovisual production. The owner of the Goya Theater Cinemas, Luis Miguel Romero Martín, welcomed everyone present and wished for a great beginning for the festival. 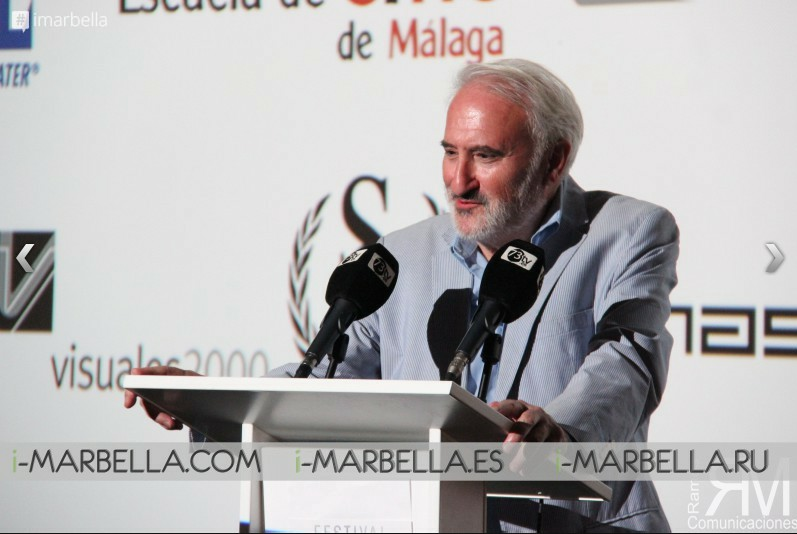 The Marbella Film Festival is an even born as a meeting point between Spanish and international industry. During the opening ceremony and after the words of the president of the Cinemas Goya Theatre and the director of the Festival Ezekiel Montes, owner of 73TV and producer, the film "Viktor" was projected, then a cocktail was offered to the guests. Another day, the Marbella Film Festival held a roundtable discussion with film producers from Malaga organized in collaboration with Procinema, which presented some of the projects that will see the light in the coming months, and discussed issues such as Production process, the situation of the industry, the distribution system and the new audiovisual display platforms. In the closing Gala, the International Projection Prize was given to Carlos Bardem. The film Anomalous, Hugo Stuven's first film, won the award for the Best Film at the Marbella Film Festival. My Ex and I broke up 1 year and 2 months ago and i was six months pregnant. We both love each other and it was a shock to me and it really broke my heart. I tried to call him and both of his lines were disconnected. I tried to reach him on social networks but he deleted me off of them. I tried to reach his parents and they told me that their son said that he does not love me and does not want to see me and they do not know what is wrong. I cried and cried everyday because I loved him very much. Until I gave birth and the baby was one year old, I could not get my love back. Again, I was confused. I do not know what to do and I also lost my job and I have no money to take care of the baby. I was miserable in life so I cried to my sister and told her my problem and said that she knew of one powerful spell caster that helped her when she could not get pregnant. I contacted him by email and he said he will help me and told me that a woman cast a spell upon my man and said he will help me break the spell so my man will come back to me and be mine forever. It was a great surprise to me that everything that he said came to pass. My man came back to me immediately, saying that I should forgive him. I am sending a very big thank you to this powerful and real spell caster. I pray for him to live long and do more of his wonderful work. If you have any kind of problem disturbing you in life, you have to contact this powerful spell caster! He can help you. He will not disappoint you, I give you 100% guarantee that he will help you, Here’s his contact: Email him at: Unityspelltemple@gmail.com , you can also call him or add him on Whats-app: +2348071622464 , you can also visit his website:http://unityspelltemple.webs.com . Elizabeth Alexandra from United Kingdom.